Tipping fee increase not expected with GovGuam solid waste plan - KUAM.com-KUAM News: On Air. Online. On Demand. The return of Government of Guam control over the solid waste system is inching ever closer. 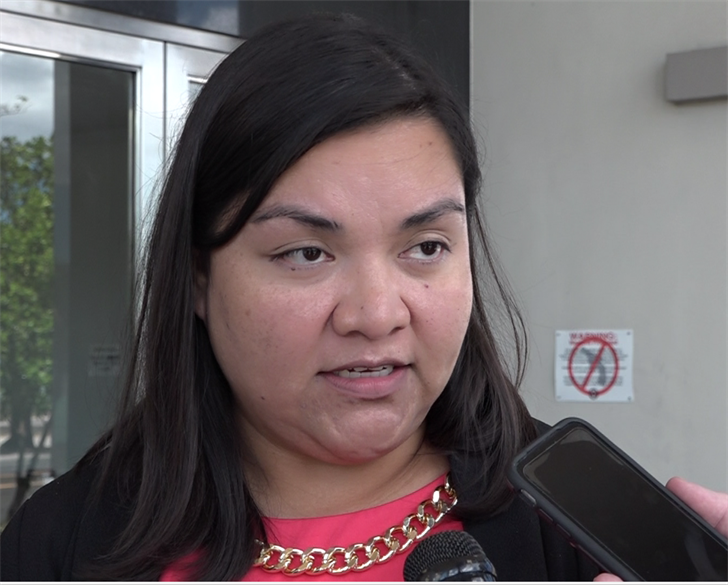 In the latest federal court hearing Wednesday, Guam Economic Development Authority officials laid out a new financing plan meant to reassure the judge that key projects will be funded. There are two key issues left before district court Judge Frances Tydingco-Gatewood can finally terminate the federal receivership. They are funding for the post-closure care of the old Ordot dump, and the construction of a new cell at the quickly filling Layon landfill. In Wednesday's hearing, both the receiver and the U.S. Environmental Protection Agency continued to push for a trustee to be appointed, so they are reassured the funding will be there. But GovGuam says it doesn't need a separate trustee to watch over the money. But if that needs to be the case, GovGuam proposes to roll the two under a single bond and use the bond trustee. "What we're proposing so that we don't need a third party trustee is to incorporate that into our current bond facility, so instead of going out for a $30 million bond we'd go out for a $40 million bond," GEDA Administrator Melanie Mendiola said. But Mendiola reassures that the $40 million in borrowing will not mean a rate increase. "This is merely replacing what was set aside for the post-closure reserve to a third party trustee and incorporating it into one loan facility," she said. "And so it's a replacement, and it's a replacement based on the assumption that we were not going to, that there was not going to be a raise in tipping fees." Sen. Sabena Perez plans to fast-track a bill to authorize the new financing plan because the current cells at Layon could reach capacity as early as next summer. Mendiola adds they will meet soon to hammer out the final details of the new financing plan. "The impetus for our action now is the need to move quickly because we need two dry seasons that is necessary for GSWA to construct the cell," she said. Judge Gatewood reiterated in court that she "really wants to end the receivership by April 30." The solid waste system has been under federal control for more than a decade after GovGuam failed to address violations of the clean water act.